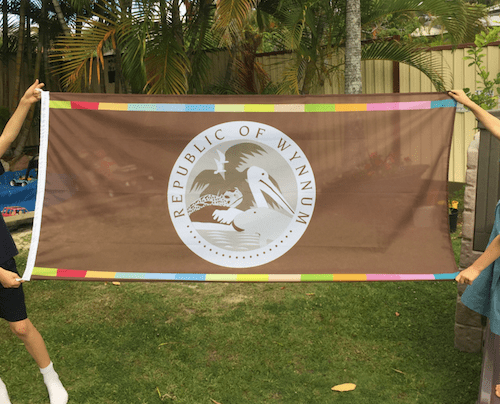 In the run up to the celebrations of the first anniversary of independence, the Republic of Wynnum has invested in a flag. This will be unfurled officially for the first time tomorrow at a gathering of citizens and nobles for a media call/photoshoot. We will also have the flag flying at the next cultural event in the Republic, the Twilight Market on Saturday 14th November (two days after Independence Day). The next step is a national anthem. Of course the national flag now needs a home on a flagpole somewhere in the nation. Where should we fly it?